Quillian Lanier Meaders hailed from an area near Cleveland, in northern Georgia. 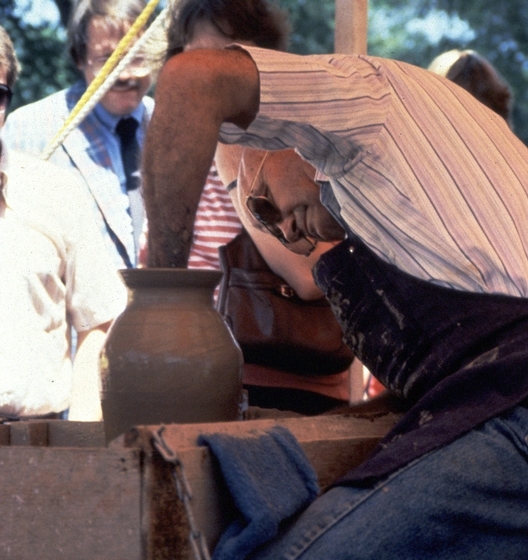 At one time, the region had been among the most concentrated pottery centers in the state. 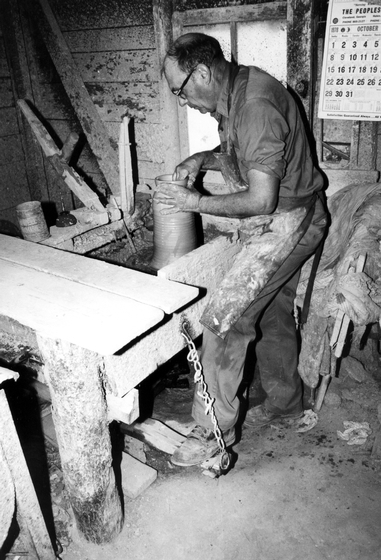 Meaders' grandfather John Milton Meaders started Meaders Pottery in 1892, and all six of his sons learned the craft. But only Lanier's father, Cheever, made it a lifelong profession. 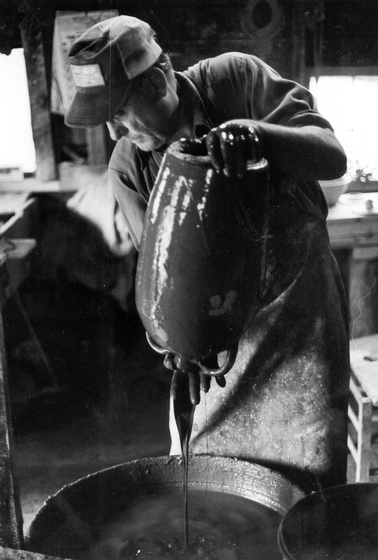 He produced churns, molasses and whiskey jugs, food-storage jars, milk pitchers and other utilitarian vessels. 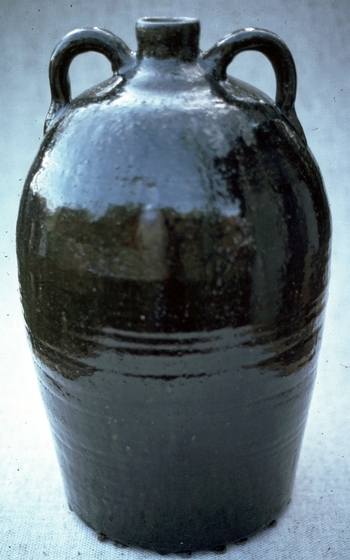 He used wood-ash or lime (alkaline) glazes. Later, he produced face jugs, or "whimseys," which were much in demand, though he didn't like them much. 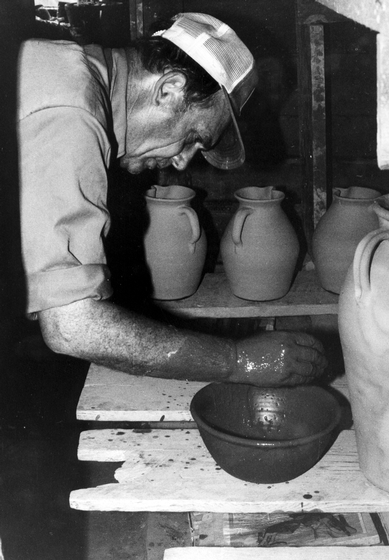 Lanier Meaders helped his father run the shop but didn't become a full-time potter until 1967, when he was 50, around the time a Smithsonian crew arrived to document the work of Cheever Meaders. 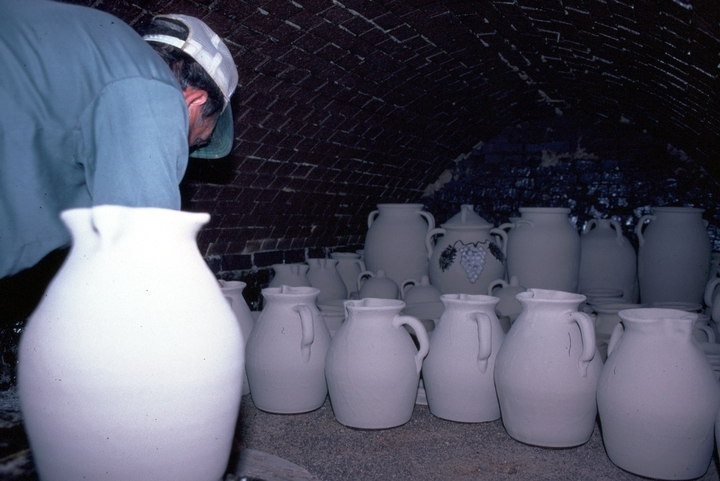 They wanted his face jugs for the first Festival of American Folklife. 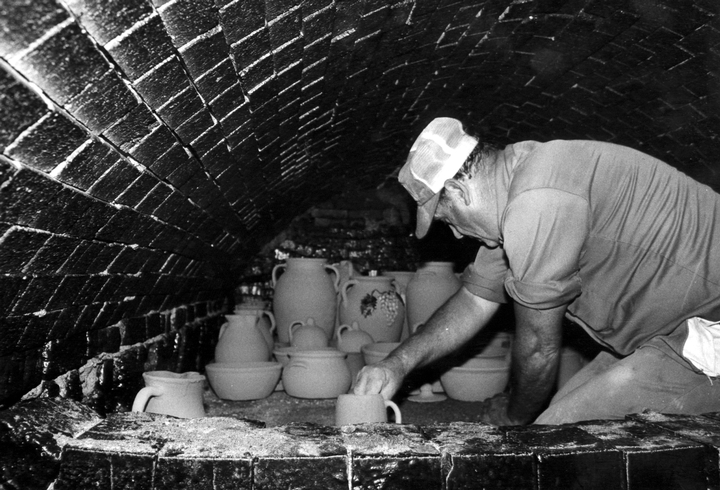 When Cheever became ill, Lanier stepped in and made enough of the jugs to fill the order. They sold for $2.50 each and became a hit. When his father died that year, Lanier took over the business. Later, his face jugs sold for as much as $3,000 apiece. He is said to have created more than 10,000 of them. 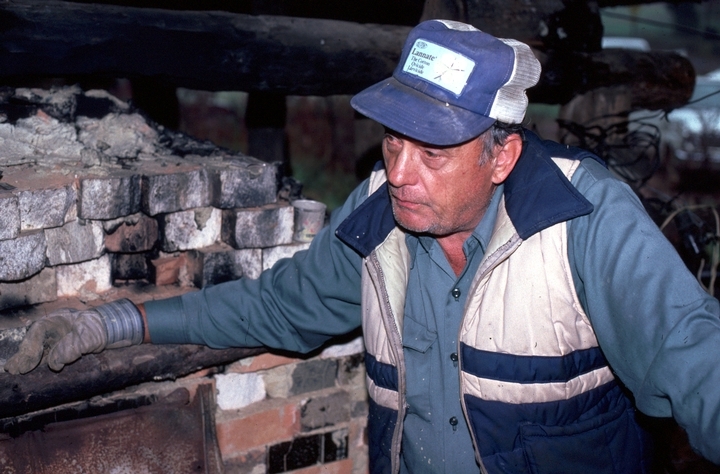 All his life, he continued the alkaline-glazed stoneware tradition of the area, working alone with a foot-powered treadle wheel and a rectangular wood-fired "tunnel" kiln. 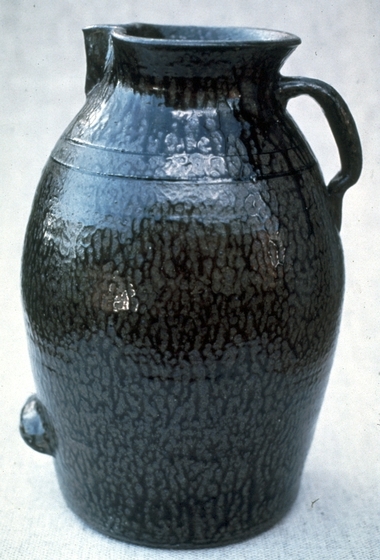 The face jugs produced by Lanier underwent a considerable evolution. 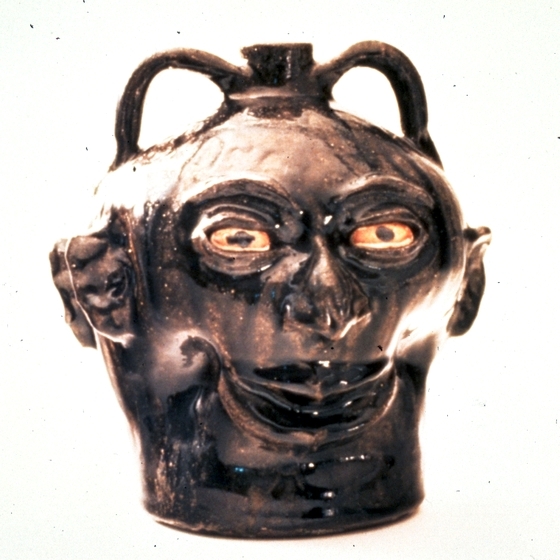 The first ones featured blobs of clay representing eyes, nose and mouth applied to a jug wall. Later ones featured careful attention to facial details. 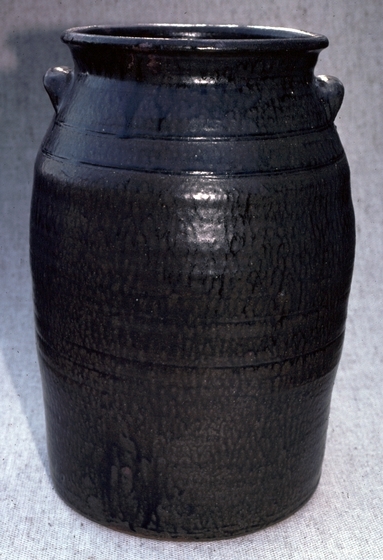 He also worked to craft more functional vessels such as churns used for pickling beans and sauerkraut. 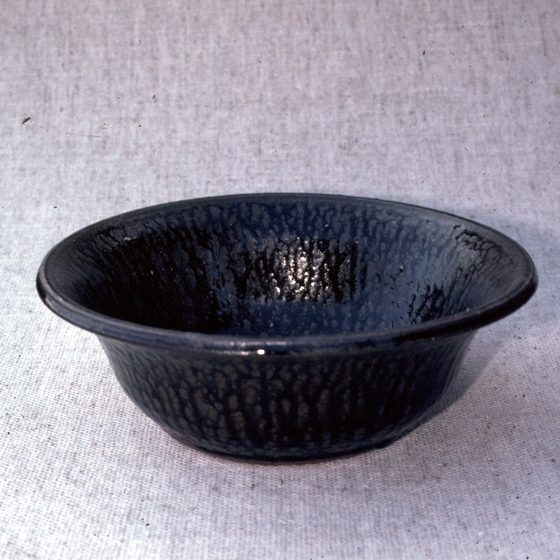 Lanier continued to use his father's favorite "Shanghai" ash or lime glazes but modified them so they were easier to make. 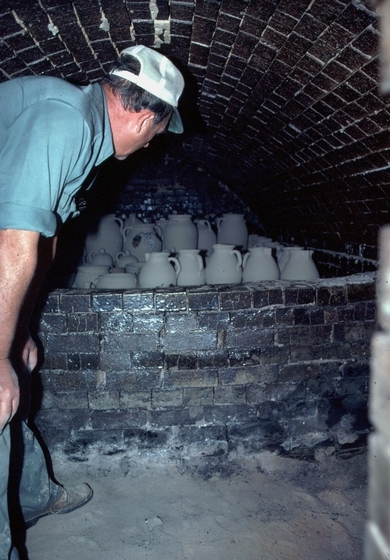 His ash glaze consisted of Albany slip and regular stoneware clay (to replace what his father had called "settlin's," a special silt dug from a dried-up mill pond near his shop), as well as whiting (powdered calcium carbonate instead of pulverized bottle glass) and sifted ashes from the kiln fire box. 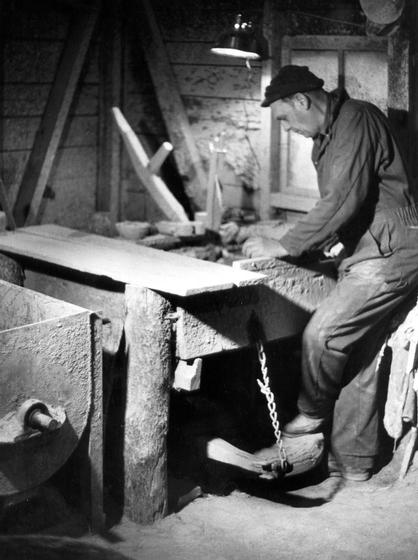 Because these materials were readily available, it wasn't necessary to grind them in the glaze mill, thus eliminating what Lanier called "man-killing work." 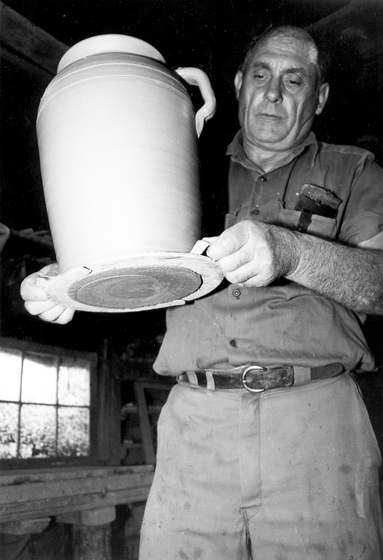 Over the years Meaders worked to maintain the regional ceramic tradition of his community of Mossy Creek, Georgia. He rarely strayed from the strong earth-brown, olive-green and rusty-gray stoneware pieces that he had learned to make growing up. As he grew older, he realized that the continuity of this tradition probably would cease with his generation. "This place here will go when I go," he said. "This place will go with me 'cause they'll be nobody to carry it on. And without it, what they can get here, they can't get anywhere else." Burrison, John A. "Quillian Lanier Meaders (1917-98)." 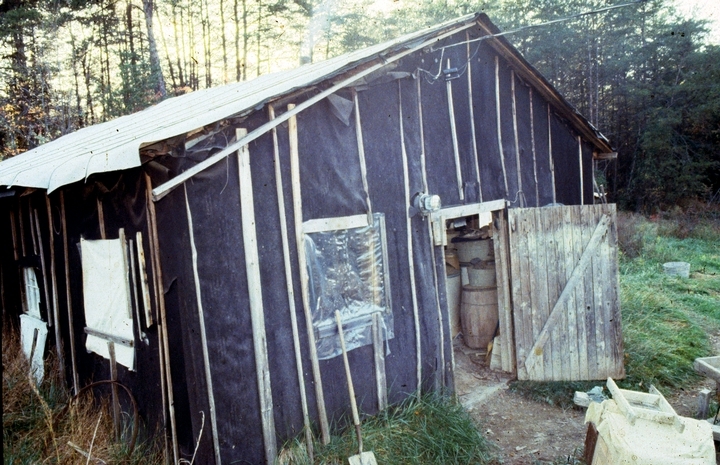 Journal of American Folklore, winter 1999, 12, 443: 83. 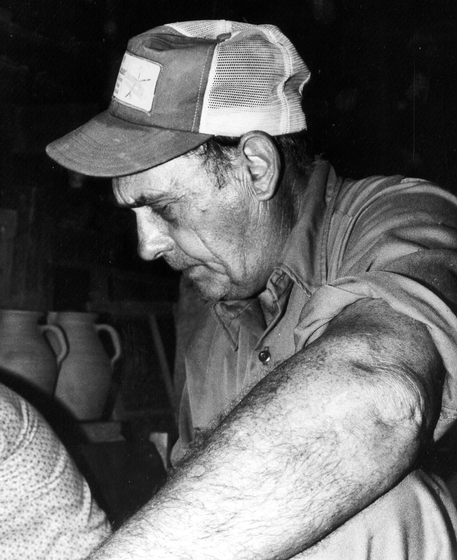 The Meaders Family: North Carolina Potters. 16mm, color, 30 minutes. Washington, D.C.: Smithsonian Folklife Studies, Smithsonian Institution. 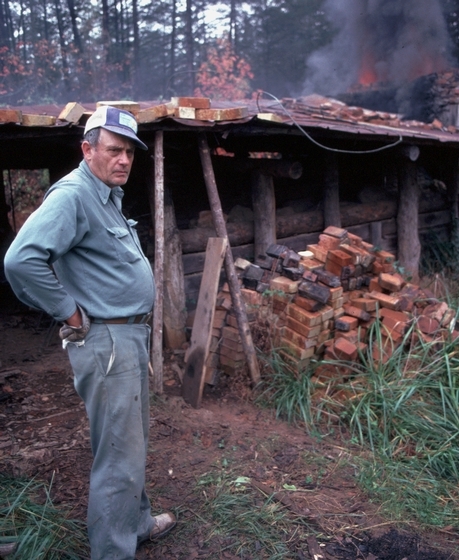 Missing Pieces: Georgia Folk Art, 1770-1976. 16mm, color, 28 minutes. Directed by Steve Heiser. 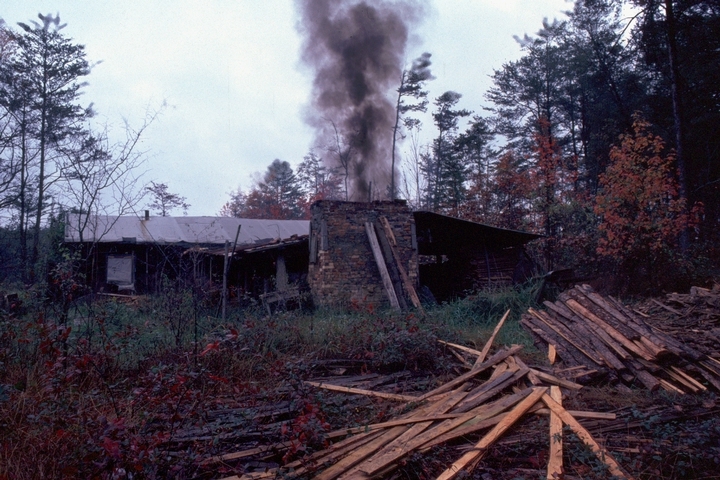 Tucker: Georgia Council for the Arts and Humanities, 1976.